Many experienced home chefs cringe at the thought of making a beurre blanc sauce, as I did. The first time I made it I didn’t have Adrienne by my side coaching me, I was on my own in my kitchen in New Jersey. Adrienne and I didn’t start cooking together properly until I moved to Long Island. But she assured me if I could make a vinaigrette – which I could – then I could make a beurre blanc. So on a weekend night when the kids were with their Dad I took a deep breath and said ‘Tant Pis’ I want Beurre Blanc! A beurre blanc is a warm emulsion, rather than a cold one like a vinaigrette. The warmth keeps the milk solids in the butter suspended. Too much heat will cause the emulsion to separate into solids and oily clarified butter. But, thanks to Adrienne and Julia Child, I discovered it is easy to hold it over a very, very low heat while you finish cooking the rest of the meal and then dribble in a few tablespoons of very hot stock or cream before serving. Do not to try to heat it up once you have it emulsified or it will be ruined and nothing but nothing will restore it. 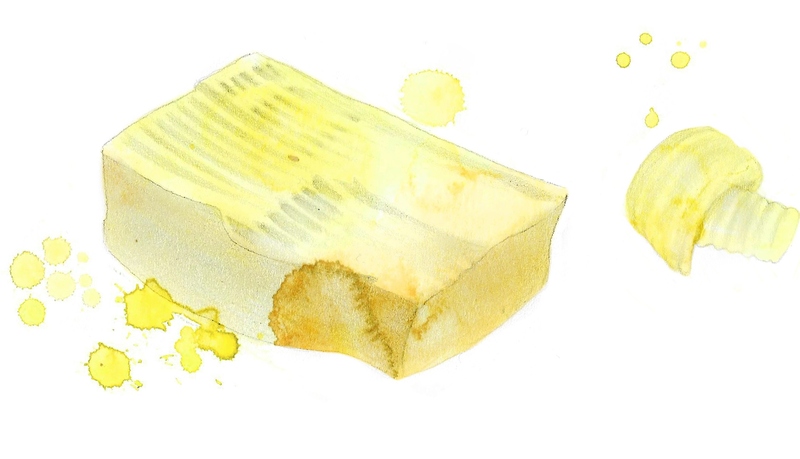 Most cookbooks will tell you that you cannot re-use beurre blanc but that’s not true. You cannot reheat it, however if you refrigerate any leftover sauce it will solidify since it is mostly melted butter. When you want to use it again scoop out a spoonful and dollop it on hot fish or vegetables. It will melt and no longer be emulsified but it will taste delish. This recipe is not much changed from the one in Mastering French Cooking which Adrienne gave me in 1993 and has been my go to reference for all things sauce. Adrienne always used vermouth but white wine or lemon juice work just as well. Step 1 Flavor Base: In a saucepan boil the liquids, shallots and seasonings with the butter until reduced to approximately 1 ½ tablespoons. Step 2 Emulsion: Remove the saucepan from the heat and whisk in 2 pieces of the cold butter. As the butter creams into the liquid, whisk in another piece. Set the saucepan on very low heat. Continue whisking in successive pieces of butter as the previous one has almost creamed into the sauce until all the butter is incorporated. The sauce will be thick and ivory colored. Immediately remove the pan from the heat and taste. It will need salt and white pepper – so that you don’t have black pepper specks in the sauce – and perhaps a squeeze of lemon. Step 3 Cover the pan and place it near a warm burner or pilot light, but not over direct heat, or set over barely warm water, until you are ready to serve it. Stir it occasionally to insure that it doesn’t separate. Step 4 Just before serving dribble a tablespoon or two of hot stock or cream into the sauce to raise the temperature. You will be serving it on hot food so the sauce itself does not need to be piping hot. Do you Chiffonade your basil?